Welcome to Bee Log Elementary School where we stand by our vision statement, “If you believe it, you can achieve it!”. 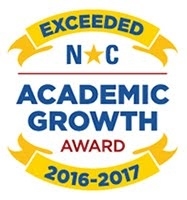 During the 2017-18 school year we will continue to focus on North Carolina's high standards for achievement. We will have a strong focus on the K-5 Science Curriculum, and Writing across all grade levels, and immersing our students in literature which is visually displayed through out the school. We will continue implementing Literature Circles and Paideia seminars into our guided reading lessons. Student in grades K-3 will continue to work with the Fundations Phonics Program while studennts in grades K-5 will be involved with Junior Great Books during Guided Reading. There will be a strong emphasis on mathematical concepts such as number sense, measurement, data and probability, algebra and problem solving. We are continuing to work on the implementation of the PBIS (Positive Behavior Intervention Support) Program within our school. Bee Log Elementary was awarded the status of a “exemplar” school this year. We also strive to help our students become leaders within the school and their community through implementing elements of the “Leader In Me” Program. This program correlates well with our PBIS program and stems from The 7 Habits series presented by Stephen Covey. 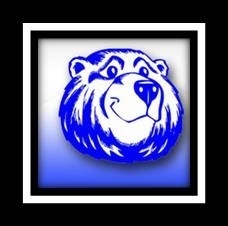 At Bee Log Elementary we encourage all parents to become more informed about our school’s progress, as well as welcome them to become an active volunteer within our school. Please feel free to contact me directly to discuss any aspect of our school that interests you. Thank you for allowing me to share this information with you, and thank you for supporting our efforts to provide the children of Bee Log Elem. with a high-quality education. We welcome you to join our team and show your PAW PRIDE!